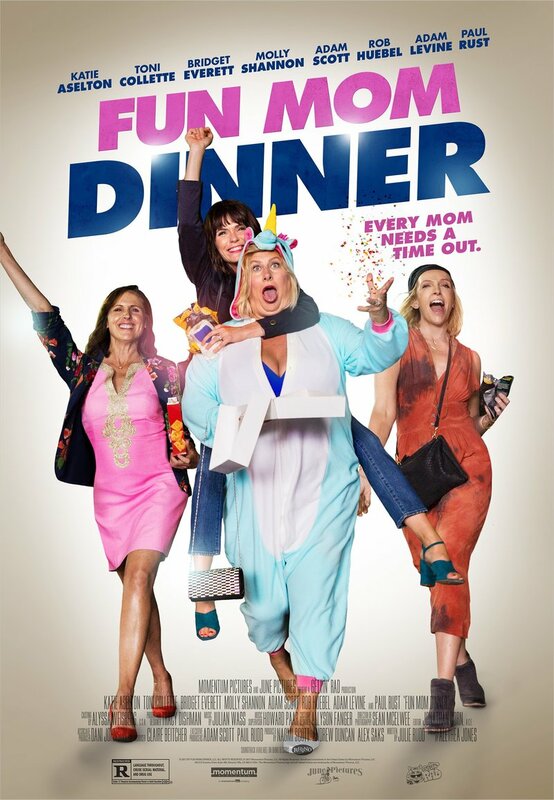 Fun Mom Dinner DVD and Blu-ray release date was set for September 12, 2017 and available on Digital HD from Amazon Video and iTunes on August 4, 2017. These four moms seem to have little in common, save for the fact that their kids all attend preschool together. Nevertheless, they decide to go out to a restaurant for dinner, hoping for a girls' night out to escape the pressures of modern motherhood. Fueled by wine and perhaps some less legal substances, the group wanders around the city afterwards and gets into a variety of strange and raunchy situations, all while their husbands struggle to control the little ones back at home.